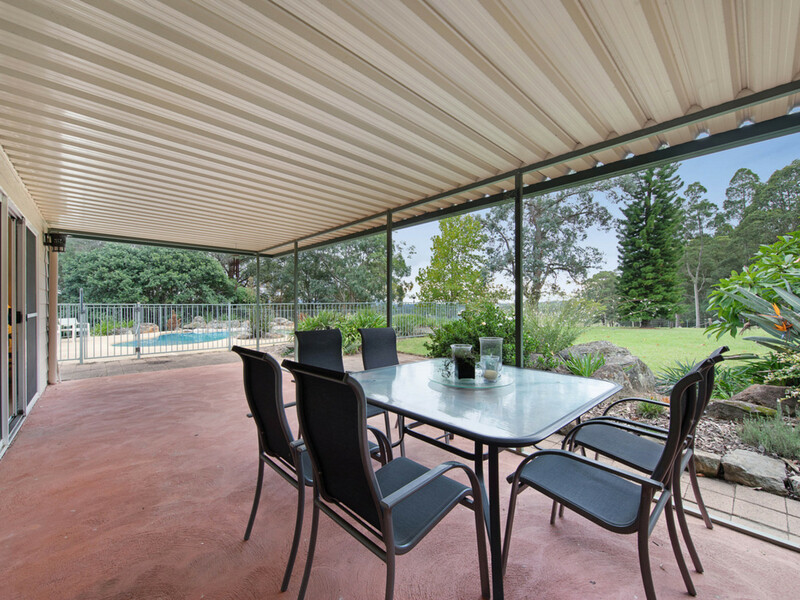 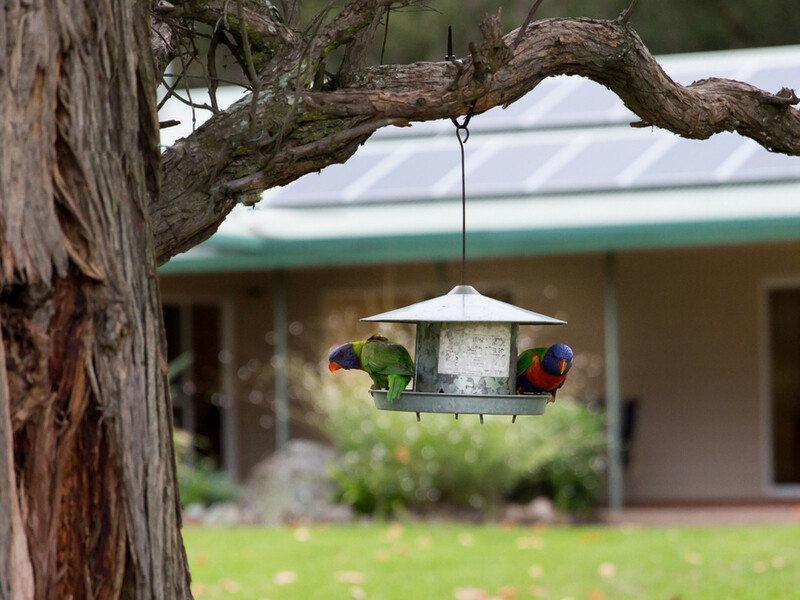 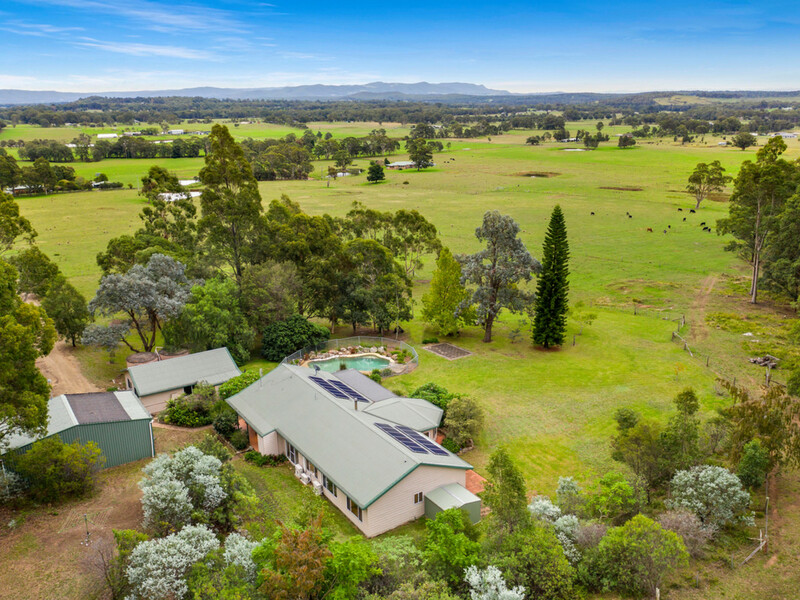 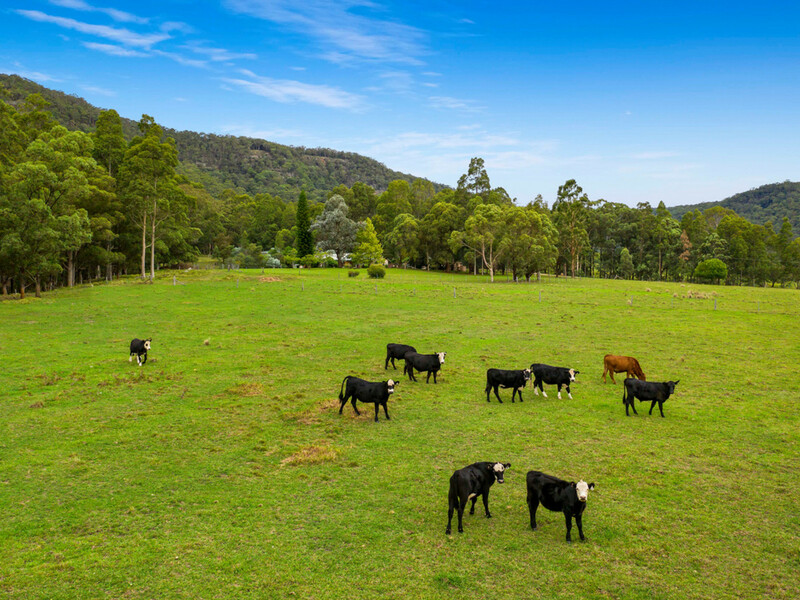 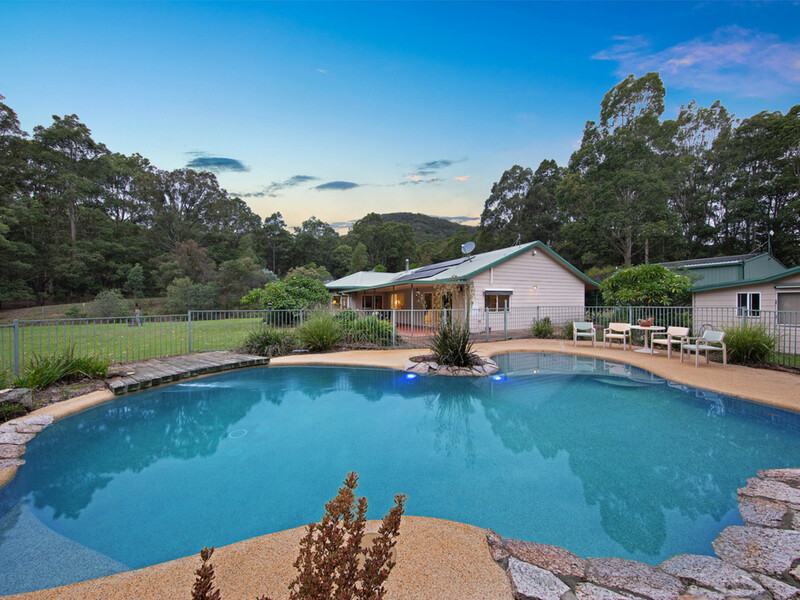 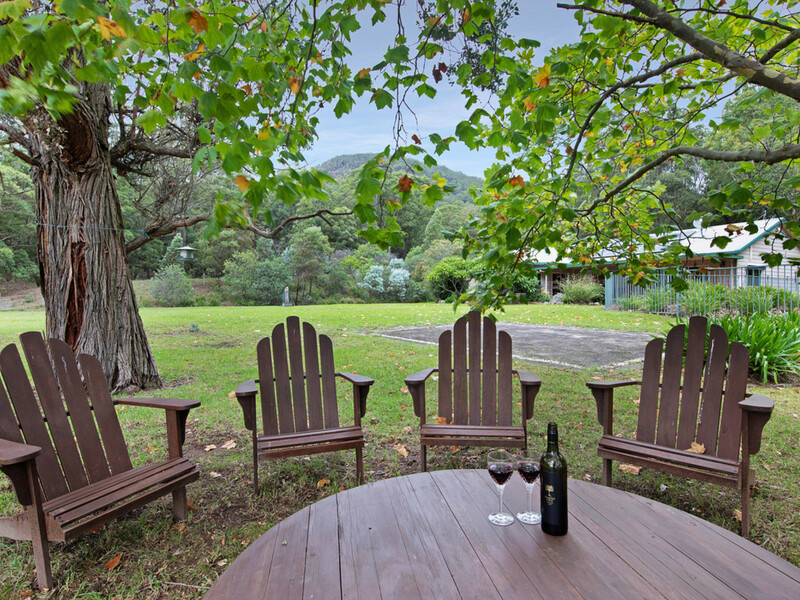 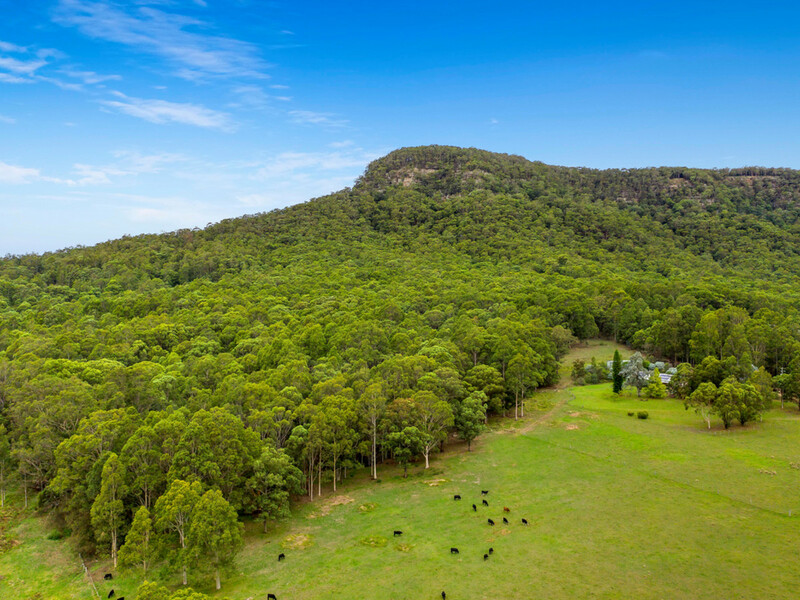 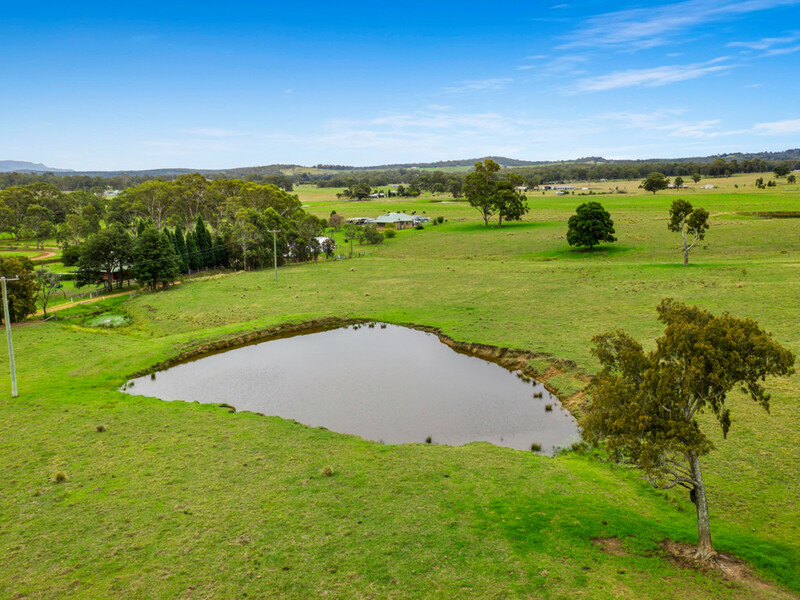 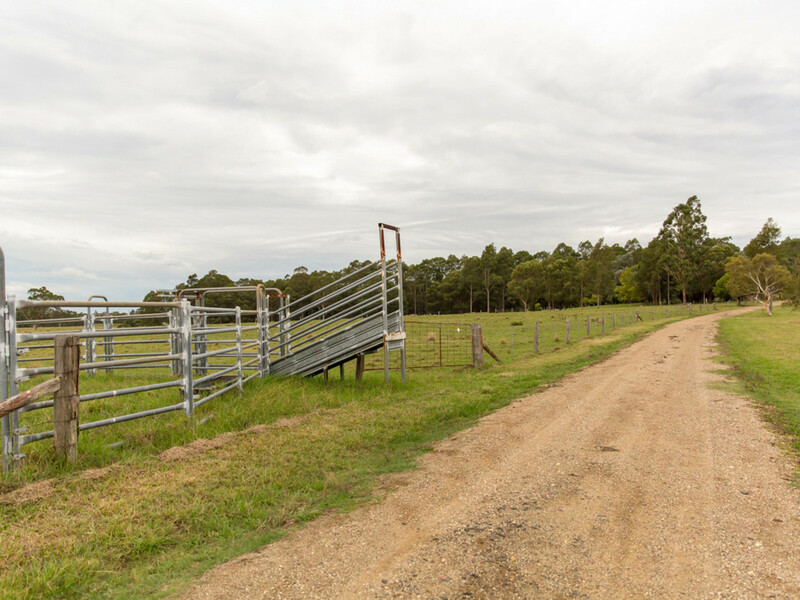 Situated in one of the more fertile parts of the Hunter Valley at the foothills of the Watagan Mountain Ranges, that not only provide a stunning backdrop but also work to capture the rainfall, this 100 acre property is private, picturesque and diverse. 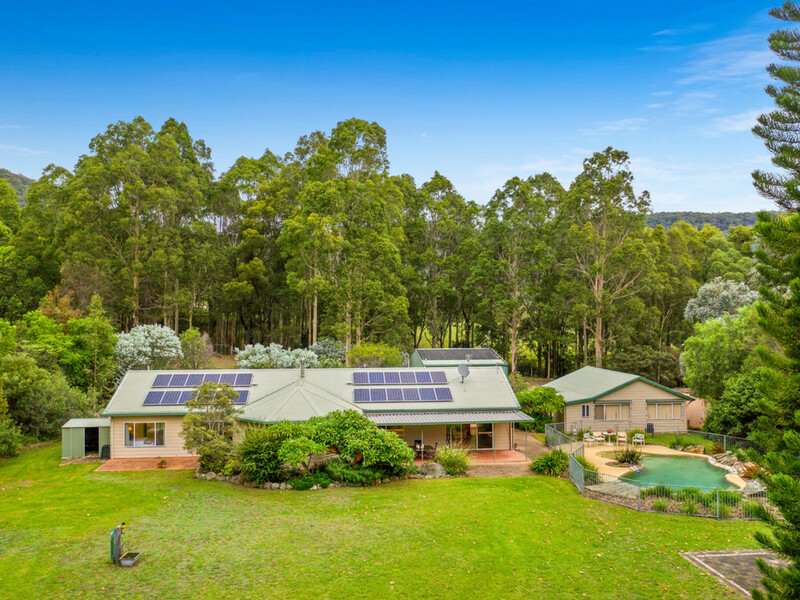 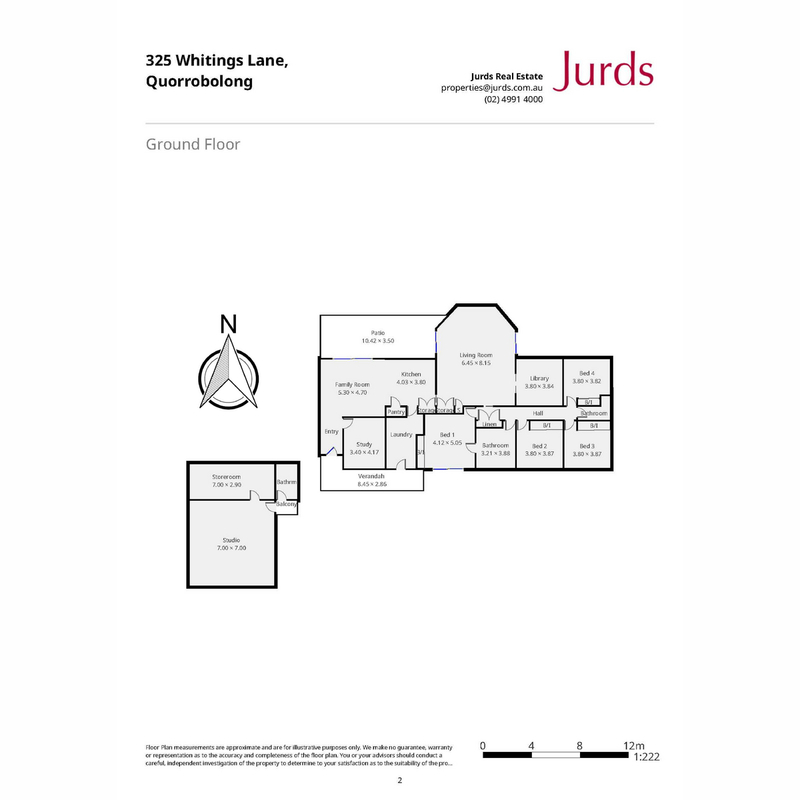 With attributes to appeal to many different requirements, this amazing property would be suitable as a permanent home or weekend retreat. 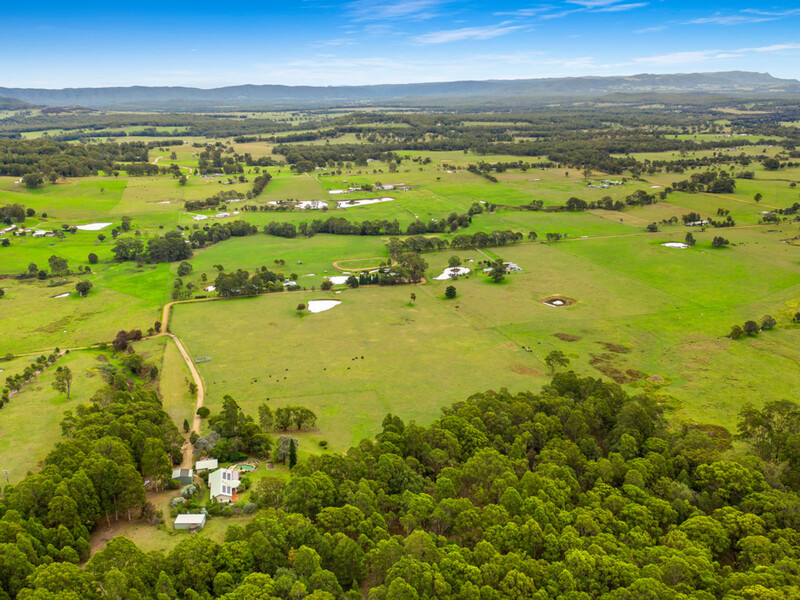 Just 20 minutes drive from Cessnock, Kurri and the Freemans Waterhole entrance to the freeway, 30 minutes from Lovedale, Pokolbin and Mount View wine/tourist districts giving access to fine wining, dining, golfing and concert venues and under 40 minutes from Toronto and Maitland – the property is well situated to enjoy a rural lifestyle on a permanent or part time basis. 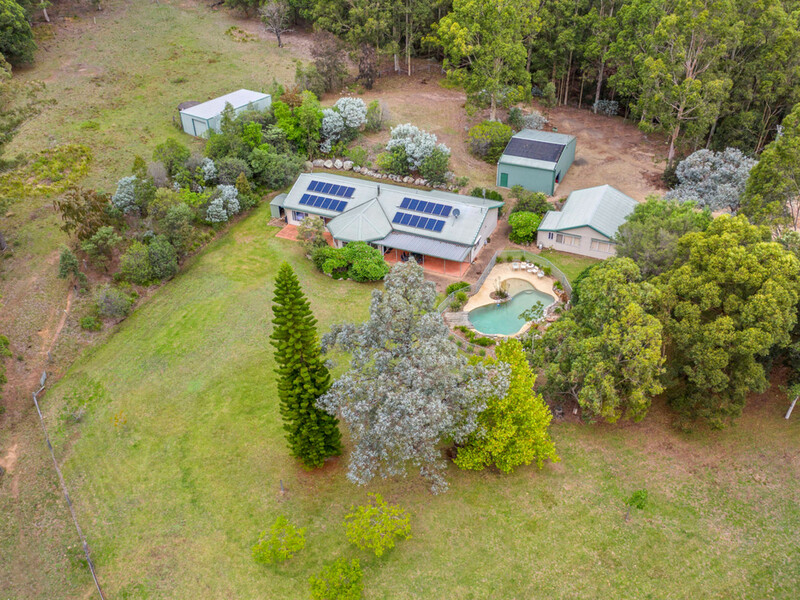 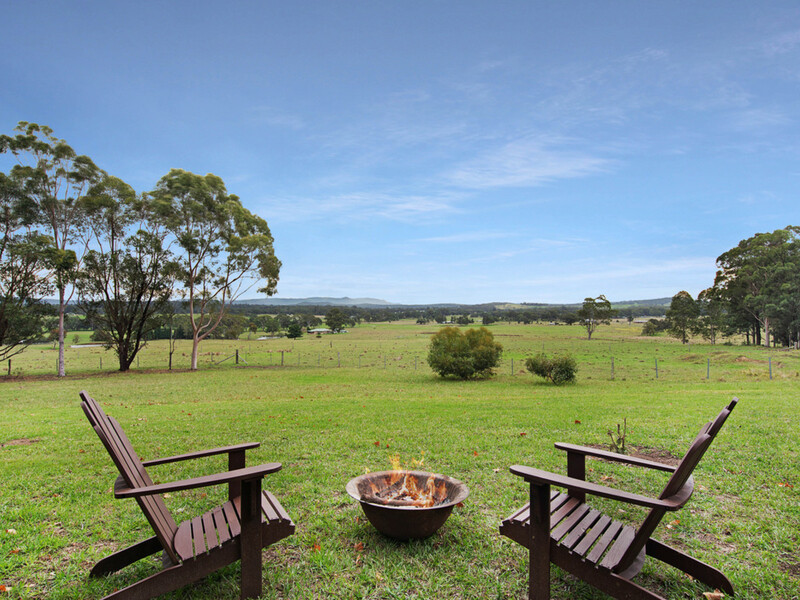 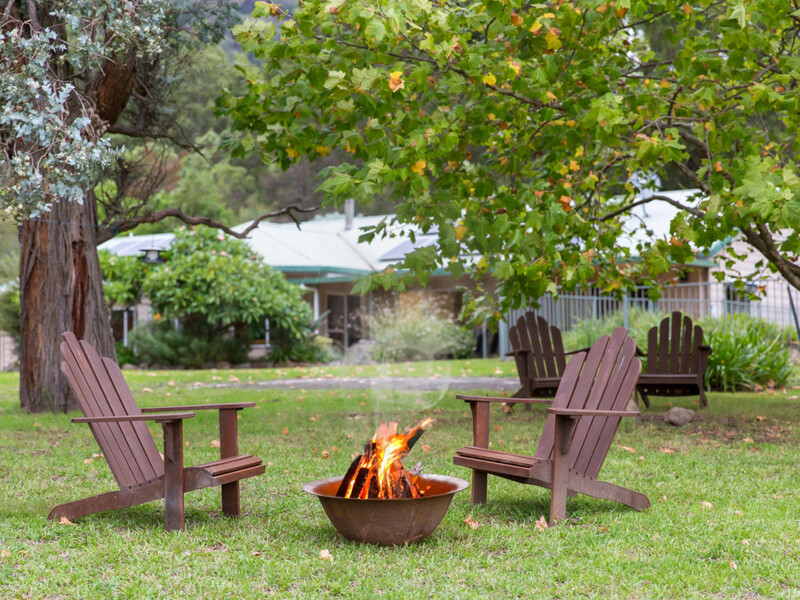 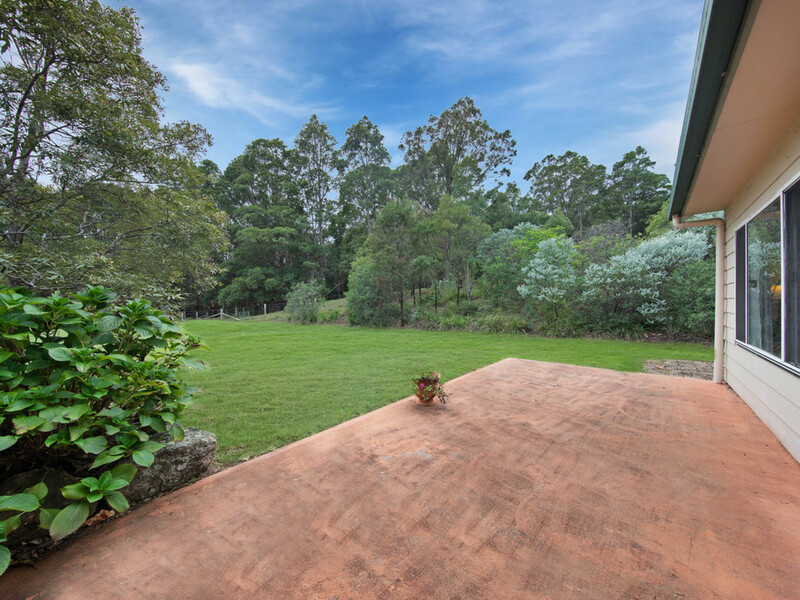 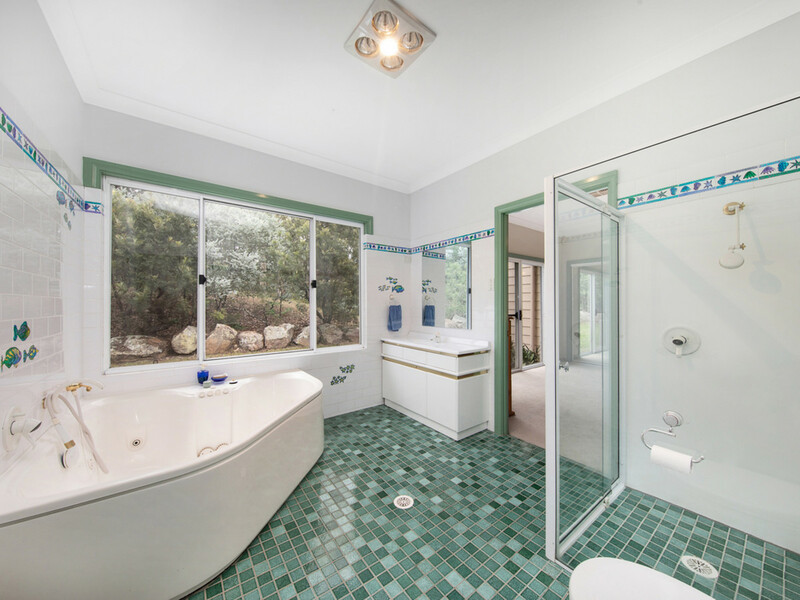 Comprising two titles, the sensational property is a balance of lush grazing land, perfect for cattle and/or horses, and a natural wonderland, a magical environment to wander and explore, abundant with native plants and wildlife. 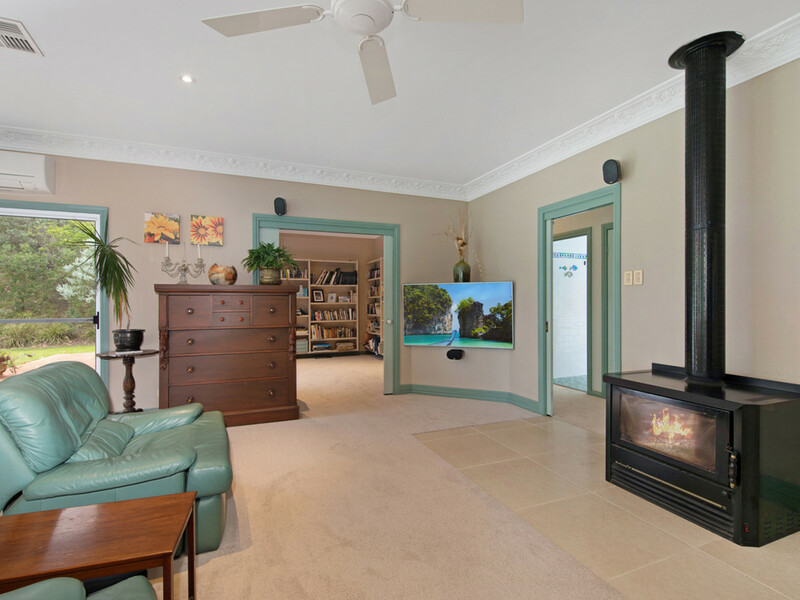 Taking advantage of the breathtaking Northerly aspect, the spacious country home is framed by easy care gardens overlooking the landscaped inground pool and features 9 foot ceilings, 4 large queen sized bedrooms, separate study / office, library or 5th bedroom, open plan family / dining / kitchen, separate oversized lounge with decorative cornice and combustion fire, two bathrooms – one of which is fairly new, oodles of storage, ceiling fans throughout and air-conditioners. 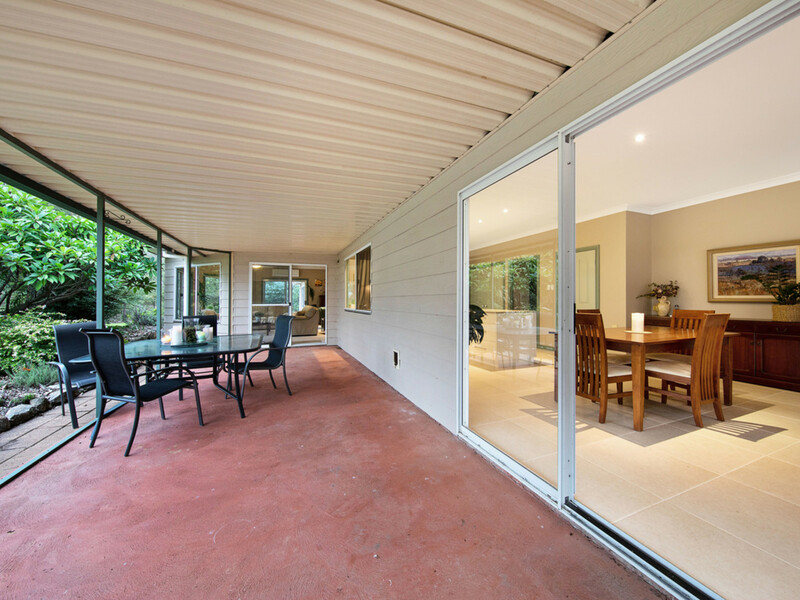 An undercover outdoor area is positioned to enjoy the view and the winter sun. 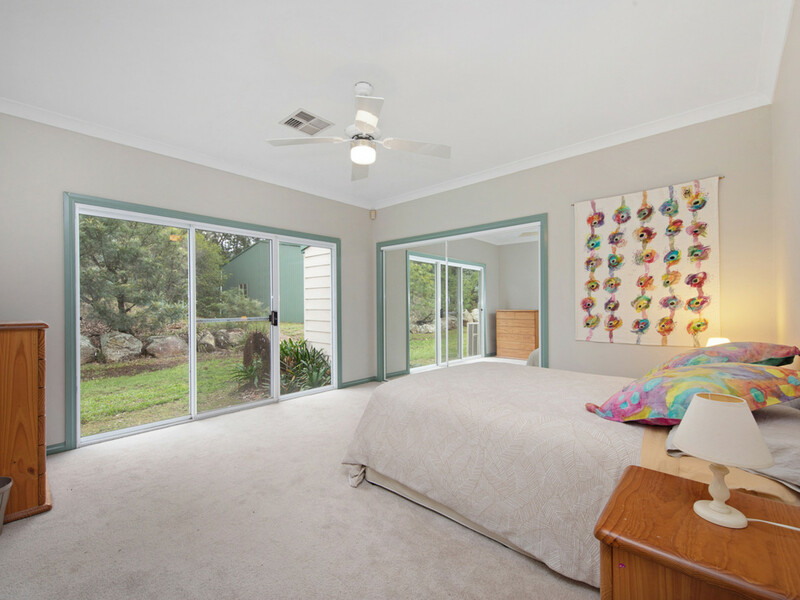 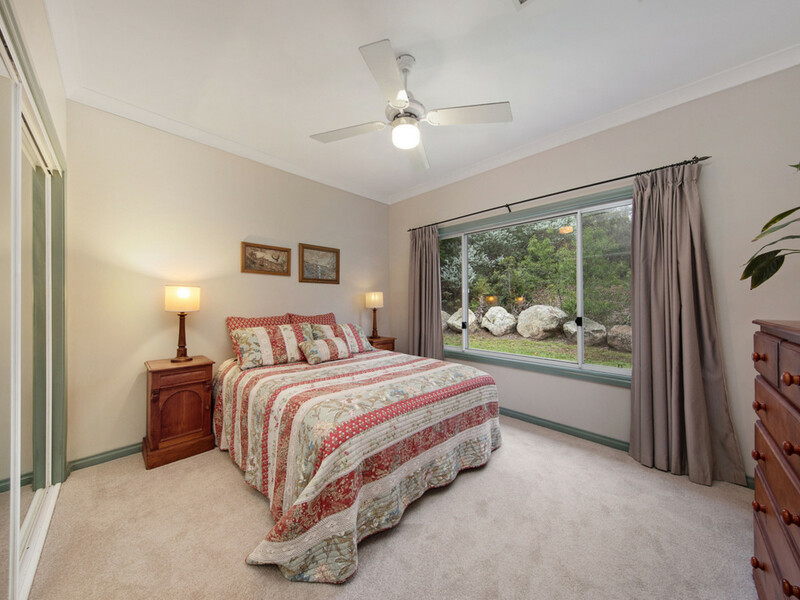 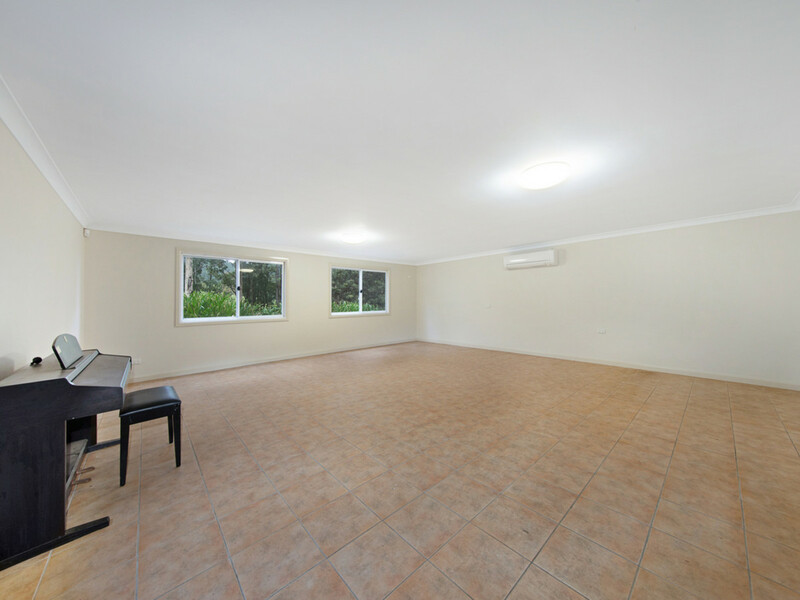 There is a large separate studio with air conditioning ideal as a games room, or guest accommodation with its own bathroom,which also services the solar heated pool. 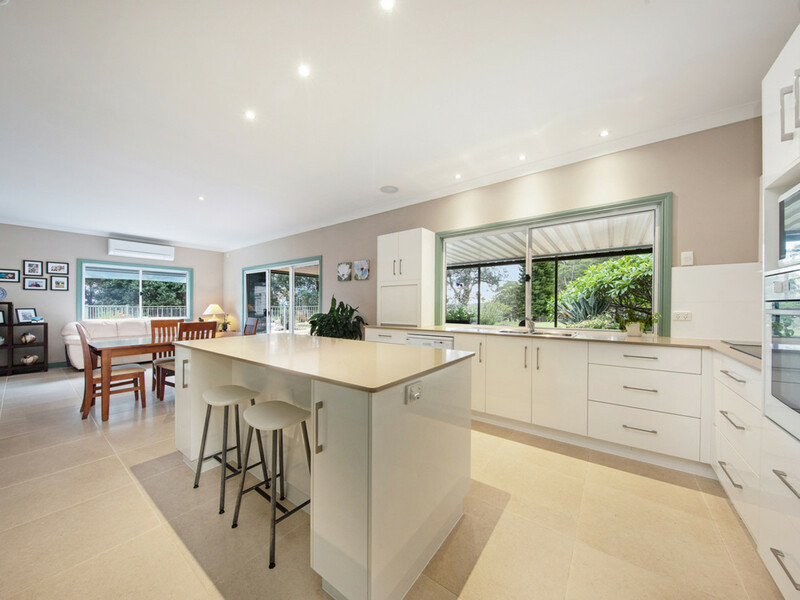 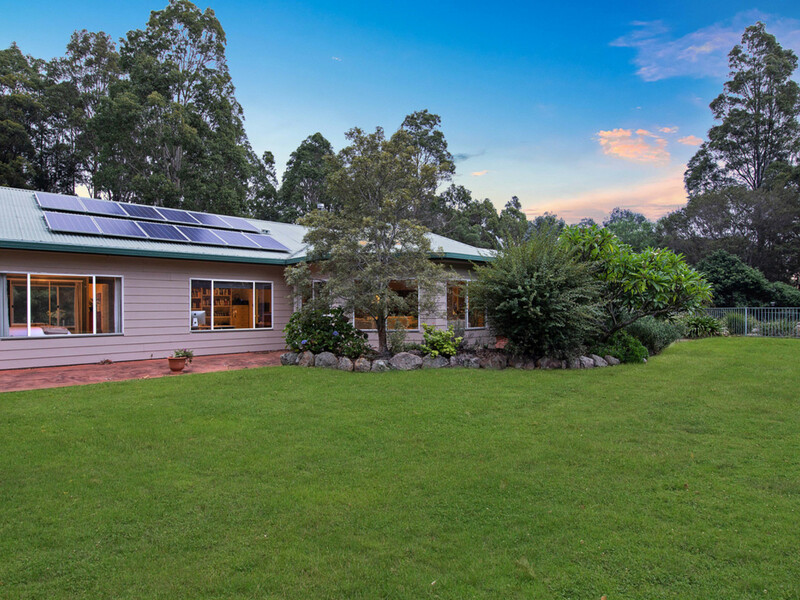 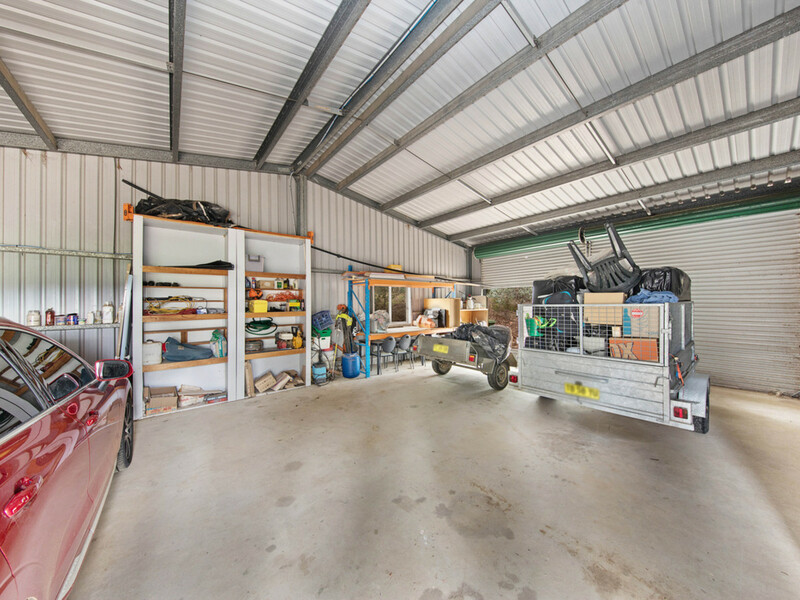 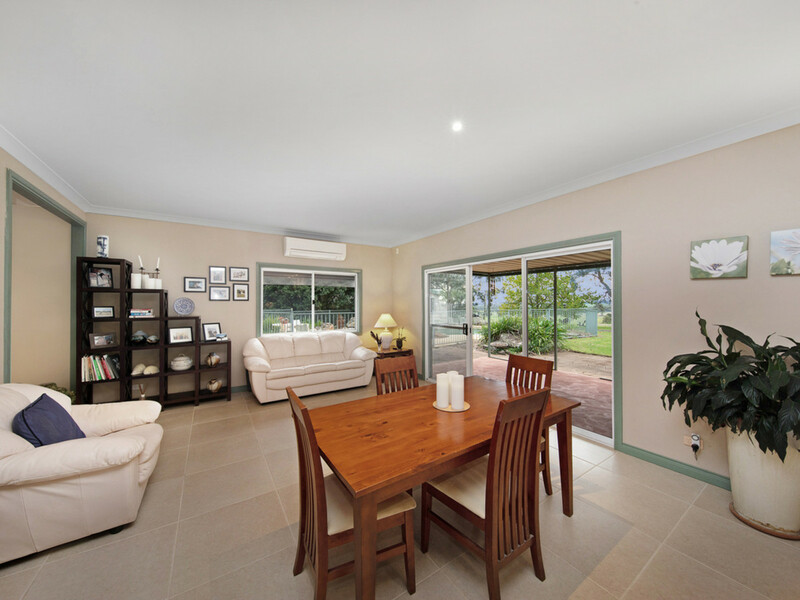 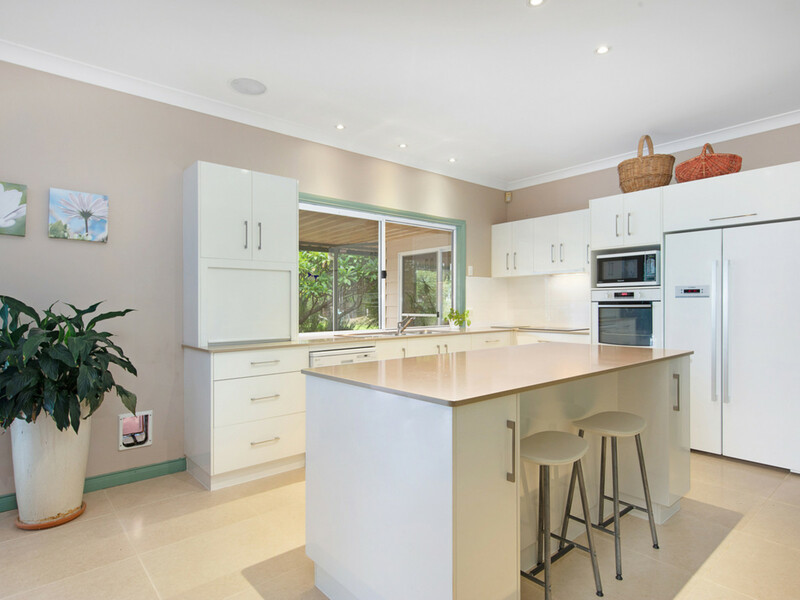 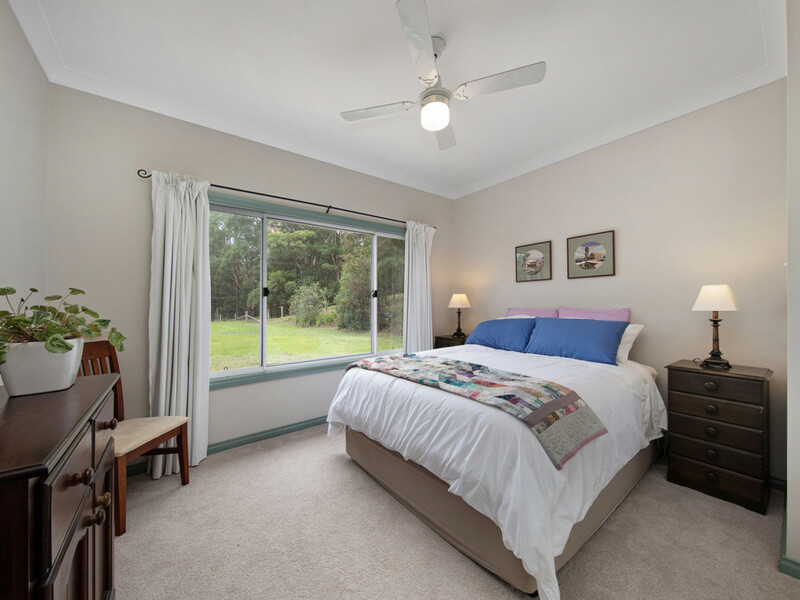 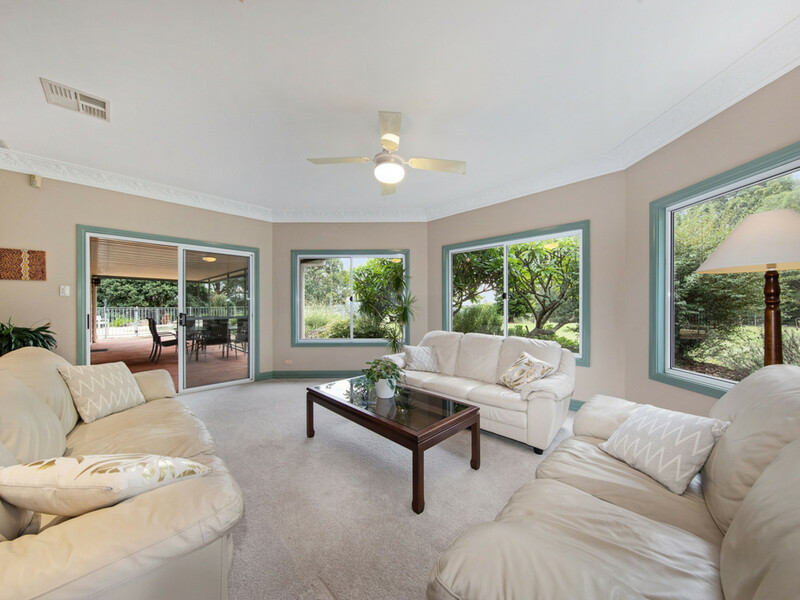 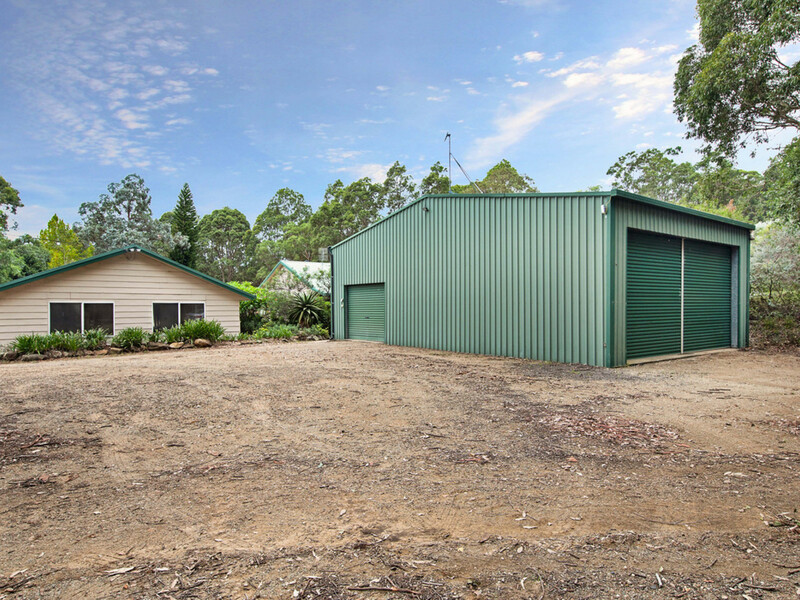 The home has a 5kw solar system with intelligent panels and micro inverters, a large garage/workshop and separate machinery shed. 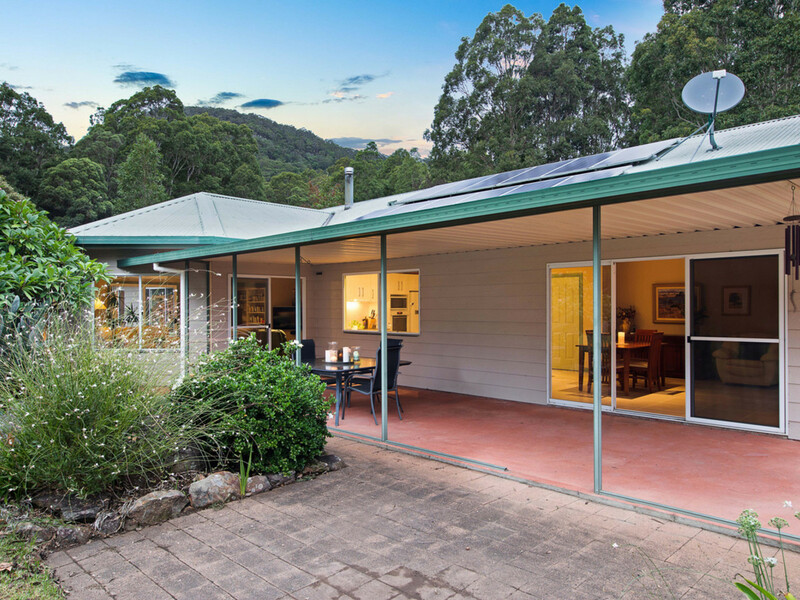 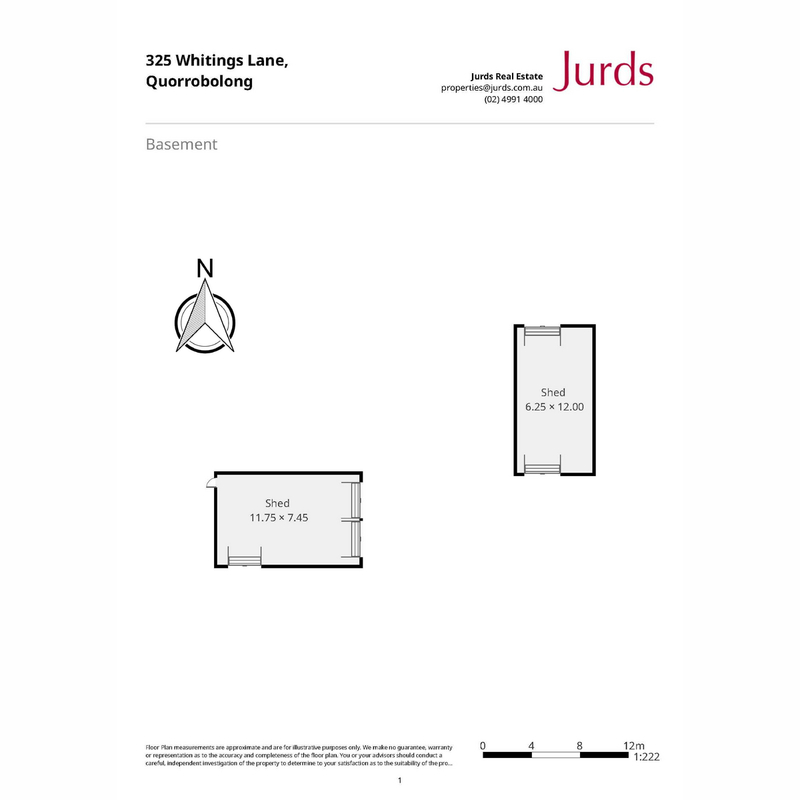 High speed broadband (fixed wireless) is connected so this divine property really does tick all the boxes.